I read recently that the farmhouse style we all love is to be replaced soon with chinoiserie. What??!! Actually, replaced may be the wrong term. I'd like to change it to "married!" 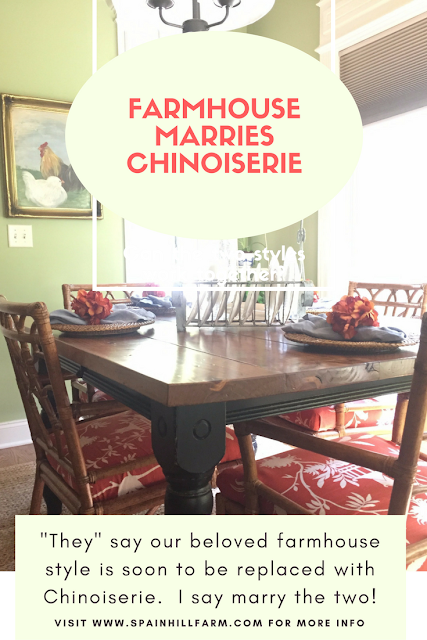 What if farmhouse style married with chinoiserie? Sound crazy? Total side note: Maybe it's the fall weather. I think this is a great time of year to get married. My husband and I were married in October and it was the perfect fall day. Actually, farmhouse and chinoiserie make a great couple. I've been trying to "fix the two up" for years and hopefully others are warming up to the idea. Did you notice the upholstery on my kitchen chairs? Or the bamboo frames on the farmhouse paintings above? How about the non-white walls? How about oriental porcelains in blue and white? Or geometric patterns? What about cotton blooms and chinoiserie pumpkins?! So what do you think? Farmhouse marries Chinoiserie. Too crazy?? 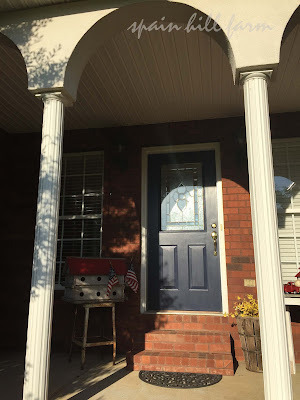 Nashville Home Show and a Giveaway!! Nashville's largest and longest-running home event, the Nashville Home Show, opens September 8-10 at the downtown Nashville Music City Center with over 300 home building and remodeling experts, sessions with HGTV Curb Appeal and outdoor living expert John Gidding as well as great DIY projects at the three-day event. Homeowners will be able to find the most comprehensive home improvement event in the city where they can shop and compare under one roof according to even producer Eric Udler. 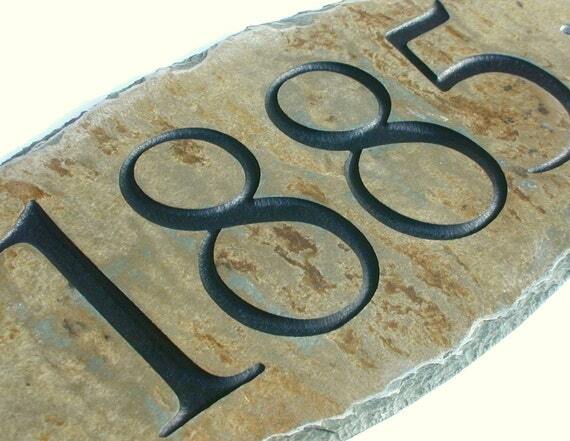 "For 34 years, this event has provided home owners inspiration, expert advice and the opportunity to shop, compare and save from hundreds of home improvement experts. We've added a HGTV design expert, interior designers converting sheds into inspiring spaces and popular food blogger demos," Udler said. "This is the can't miss home event of the season, and, during the show, we are giving away a GE appliance upgrade of your dreams valued at $5,000 from Electronic Express." You won't want to miss John Gidding, an architect, designer and host of HGTV's Designed To Sell and Curb Appeal: The Block! He'll be teaching a session on boosting home values by sprucing up exterior appearances. Have you heard of "she sheds?" The new frontier in outdoor living is the backyard shed which will be showcased in a special shedquarters area of the home show. Tuff Sheds have been transformed into fun spaces by area designers Marcelle Guilbeau, DC 7 Designers, Decorating Den Interiors' Bohnne Jones and Designs By Tamerah. That sounds like fun!! Popular Nashville area food bloggers will also be demonstrating delicious recipes throughout the event including "That" Susan Williams, The Hungry Waitress, The Local Lady, Luv Cooks, My Paella Travels, Chelsea's Choices, Lhyme, The Nutrition Adventure, Handmade Healthy, and Miranda's Kitchen Adventures. Yum!! Come hungry! So avoid long lines and buy tickets online at NashvilleHomeShow.com where you will also find nearby discount parking! Use code "blogger" for $3 off when purchasing tickets online!